BlueVine provides fast, simple, easy financing to small and medium-sized businesses. BlueVine’s online technology-enabled platform offers business owners convenient access to capital to pay for their everyday needs and to grow their business. BlueVine offers online invoice factoring, which allows businesses to access funds from their unpaid invoices. BlueVine also offers businesses revolving lines of credit that provide financing on demand. All lines of credit financing are issued by Celtic Bank, a Utah-chartered Industrial Bank, Member FDIC. 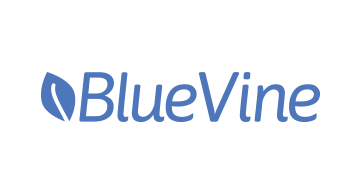 Based in Redwood City, Calif., BlueVine has provided over $1 billion in financing to small businesses and is backed by leading private and institutional investors, including Lightspeed Venture Partners, Menlo Ventures, Citi Ventures, Nationwide Insurance, and M12 (Microsoft’s Venture Arm).